University of Zurich’s Executive MBA has both German and English general management programmes, focusing on International Management (German) and Digital Transformation (English). The programmes provides senior executives with a top education from one of the best business schools in Europe. All course materials are available through an online platform, providing both a high-efficiency experience for our students and a sustainable alternative to paper-based learning. 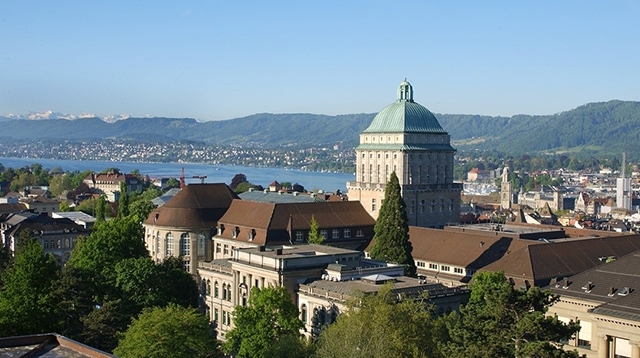 Participants of University of Zurich’s Executive MBA Programmes will connect with the best peers, faculty, and alumni while studying in the economic and financial centre of Switzerland. Participants are senior executives representing a wide variety of industry sectors. The Executive MBA Alumni Network reinforces relationships forged during studies and provides new graduates with career-enhancing events and a powerful network of other top executives. University of Zurich’s Executive MBA graduate is able to work in an international environment, excels at intercultural management, and has the knowledge necessary to thrive in any business context. The Programmes revolve around creating maximal value for the participating executive and the represented company. We welcome candidates from all different industries and function. If you are an experienced executive looking to equip yourself with the critical skills, mind-set and leadership approach needed to thrive in a digital and disruptive future, this programme is for you. If you submit your complete application by 31 December 2018 and receive a positive assessment, you will receive an early bird discount of CHF 6,000. If you submit your complete application by28 February 2019 and receive a positive assessment, you will receive an early bird discount of CHF 3,000. For the class of 2019-2021, we offer “First Intake Discount” of CHF 10,000.